six who were badly burned. up with thick, black smoke and panicked passengers rushed through flames to escape. and part of a wing. passengers sought treatment for poisoning after inhaling toxic fumes. the western Siberian town of Surgut to Moscow. the panic on board the plane. people immediately panicked,” group member Yury Rymarev said on NTV televsion. 1990s, got out through an emergency exit over a wing and none of them was hurt. industry, first entering service in the 1970s. a Moscow airport and the third cut out as the plane made an emergency landing. It skidded off the snowy runway and broke apart. 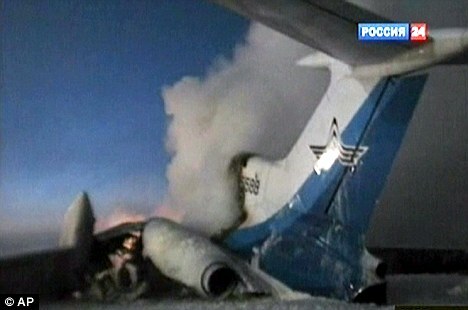 TU-154: All three engines are located in the back of the aircraft. Posted: Sunday, January 2nd, 2011. Filed in General News.